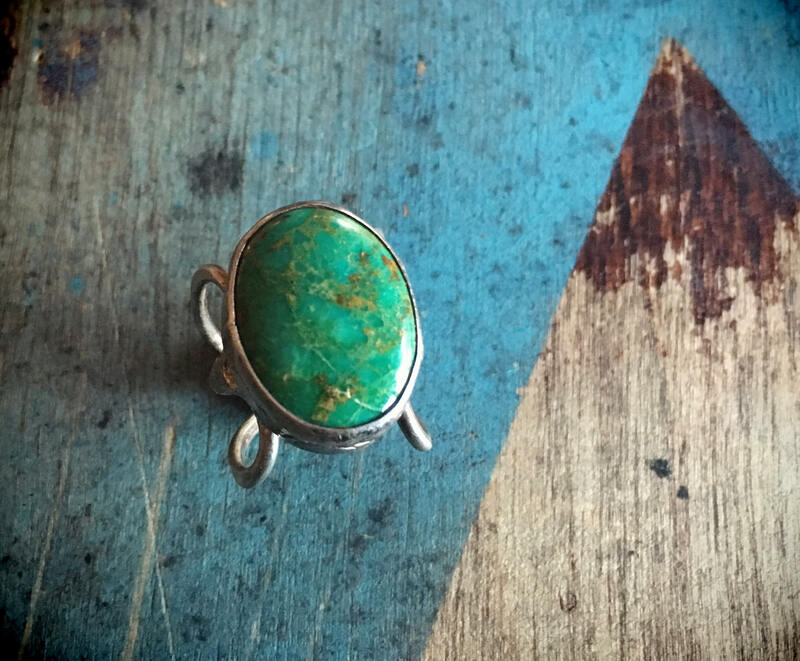 This ring stands out for the beautiful green turquoise, which is big on the delicate band. 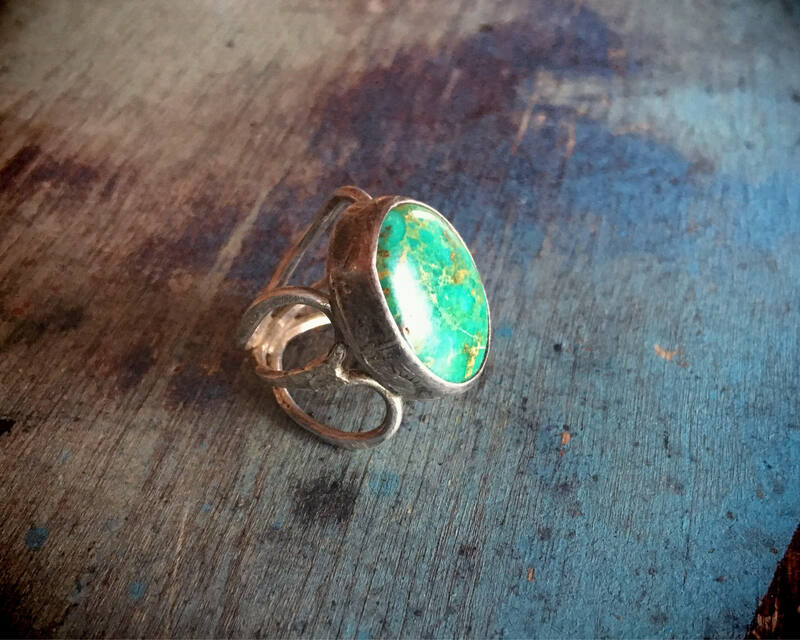 A vintage ring, this is a great boho style, with a sterling silver wire band. It's a small ring at Size 4 yet big presence. 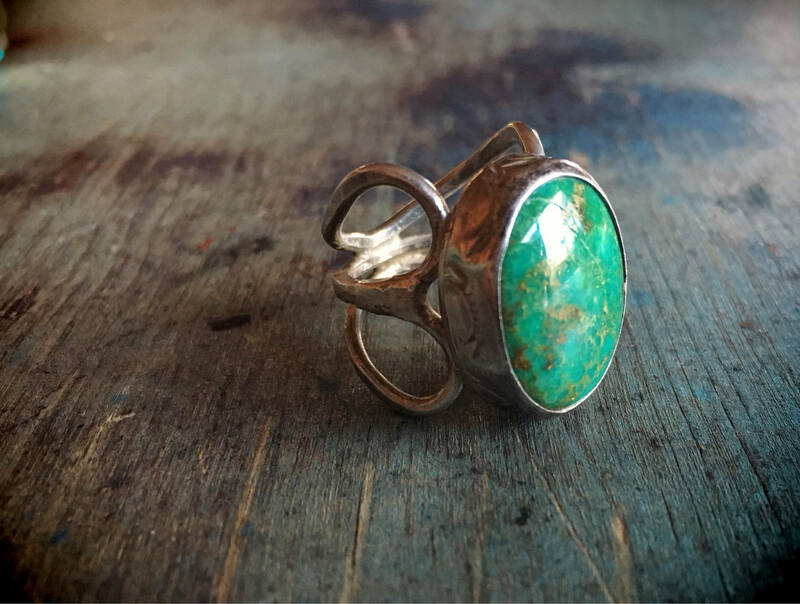 And the turquoise is perfect for the person who looks great in green or loves to wear green with contrasting colors like purple or other earthtone stones, like river rocks. Carries the hallmark M. Griego, which could be either a Hispanic or Native American artisan, as well as a STERLING stamp. 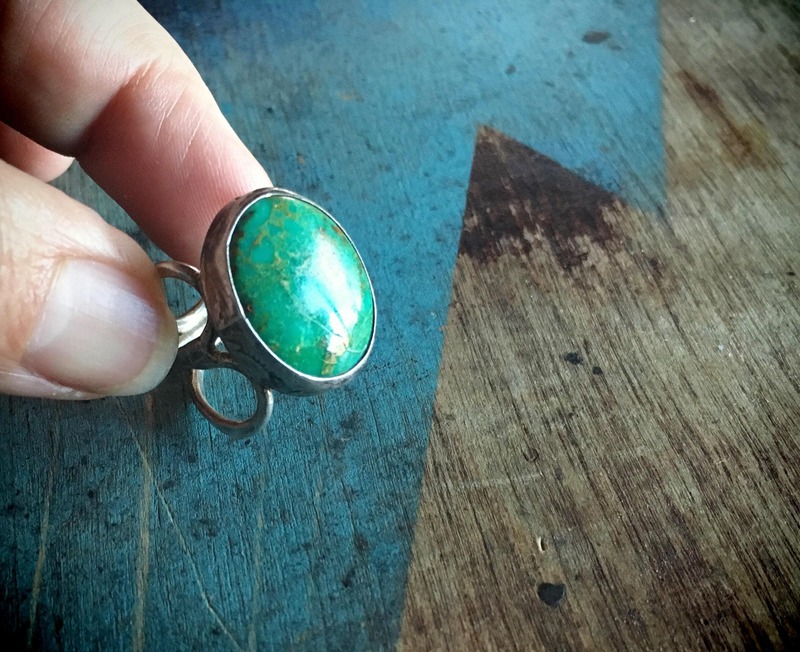 The ring face measures 3/4" tall by 5/8" wide. 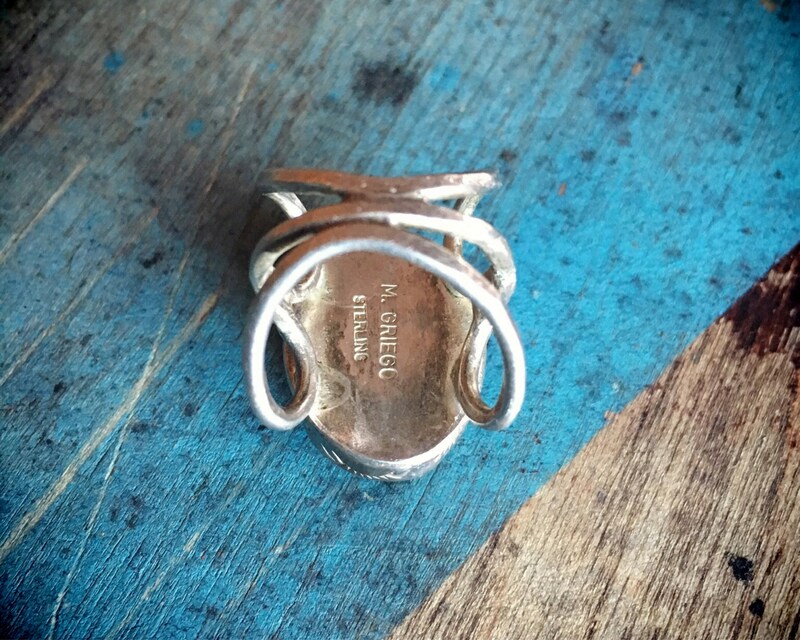 This is a vintage ring and the sterling silver band has some ding marks and scratches. 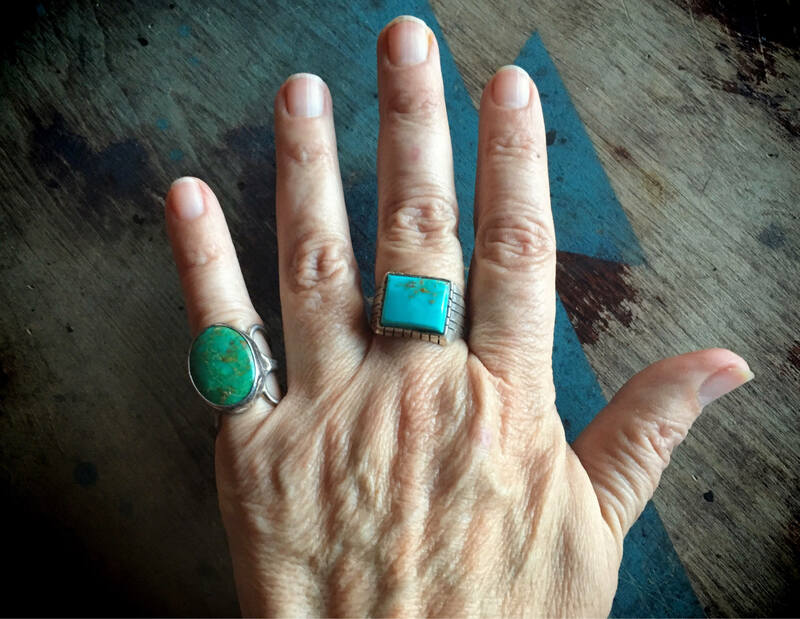 The turquoise has some surface scratches but otherwise in good vintage shape.